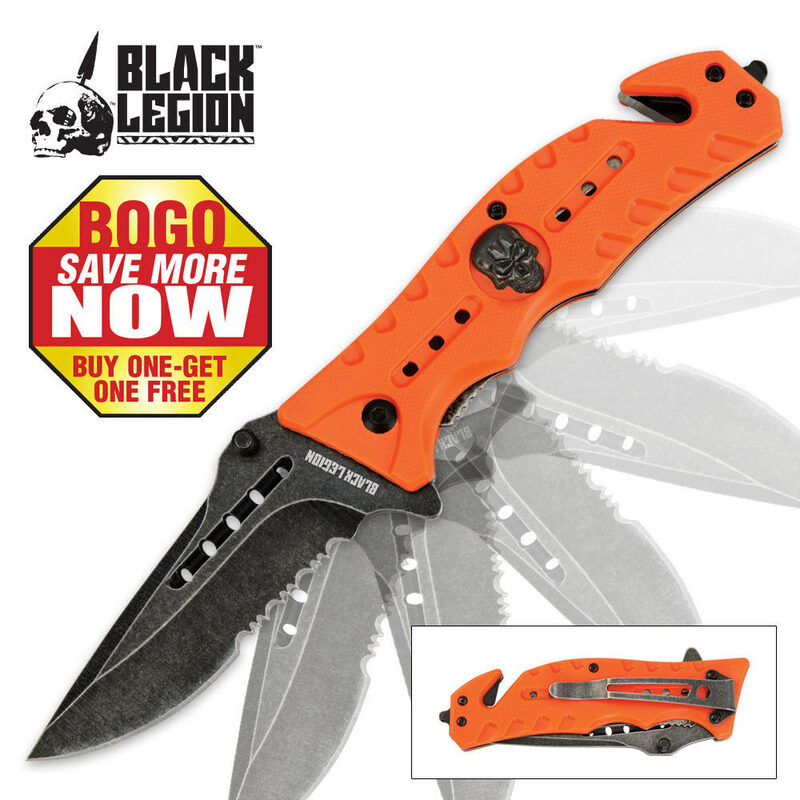 Add this folding rescue pocket knife to your collection today! It offers tons of applications at a crazy affordable price point! Enjoy assisted-opening technology, contemporary stonewashed steel, and handy rescue implements including a belt cutter and glass-breaking spike! The orange handle makes it easy to spot, and the built-in thumb stud provides super-fast access to the blade.